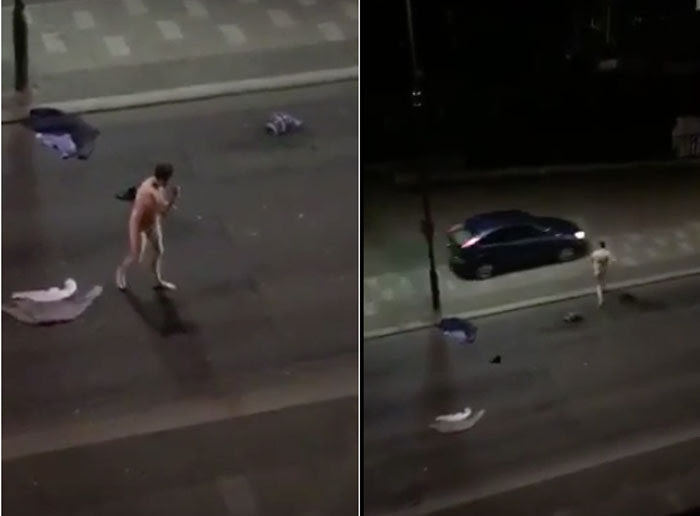 Shortly after midnight on Friday, police responded to a street in Essex, England after receiving calls about a drunk, naked man damaging and running into cars. Tom O'Neill, 32, was arrested and charged with criminal damage to a vehicle, public intoxication, disorderly conduct and assaulting a police officer. Drugs are the devil!